Leeds City Council has invested £65m in property specifically to generate an income since 2010 but, like many metropolitan authorities, its history as a landlord goes back to the 19th century. The council’s director of city development Martin Farrington told LGC that as the largest owner of land and property in the city the council’s investment strategy was focused on capturing the value that the council was helping to create in the city. For example, during the recession it stepped in to bring forward the city’s First Direct Arena on land it owned when no other developers were willing to take the risk. The council now receives an income from the venue which is let on a 25-year lease. The council’s most significant purchase since 2010 has been 150,000 square foot of office space opposite the train station for £43.7m. The council had sold the land on which the facility was built, formerly a car park, but retained an option to purchase the finished building if the business case stacked up. Although the income generated is similar to that from the car park, it is tenanted by law firm Addleshaw Goddard, which, together with KPMG next door, now provides modern offices for more than 1,000 high quality jobs in the city centre. “The council could have chosen to simply maintain its income from a low grade surface car park. Instead we brought the land forward for new office development to help stimulate growth in the city,” Mr Farrington said. Income from the council’s investment properties is used to fund further economic regeneration. The new Prudential Code for Capital Finance in Local Authorities will not include an explicit ban on borrowing for profit-making investment, as had previously been proposed. 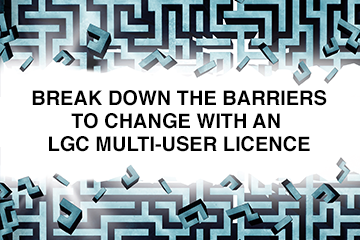 However, LGC understands the removal of the ban is unlikely to have an impact on government moves to prevent councils using loans to fund out-of-area property investments. Proposed government guidance on council borrowing could have “serious negative consequences to council finances and ultimately services” if implemented in its current form, the Local Government Association has warned. Sir Michael Lyons’s claim that failure to reform council finance contributed to the vote in favour of Brexit should jolt the ministers who perennially place the issue in the ‘too difficult to tackle’ box. The failure of successive governments to reform council tax and the disproportionate impact of local government funding cuts on poor areas contributed to the country’s vote for Brexit, Sir Michael Lyons has told LGC. The press have reported that the chancellor will use the 22 November Budget to switch the basis for next year’s up-rating of the business rates multiplier from the retail prices index to the consumer prices index. Runnymede BC claims that while it has made efficiencies since 2010, it has avoided making any cuts to services as a result of the £160m it has invested in income-generating property. In addition, the council has also invested in new discretionary services, including school buses and meals-on-wheels, and funded the contruction of a new leisure centre. In 2016, councils spent almost £387m purchasing shopping centres, according to analysis by real estate advisors Savills. These transactions accounted for 13% of all UK shopping centre deals and 44% of all deals below £100m, suggesting councils are often investing in retail premises in smaller towns and cities. Mansfield DC has invested £23.9m in income generating property since 2010, all of it outside of its boundaries.